If you’re a hotelier looking to increase occupancy rates, maybe consider adding Netflix as an amenity. At the risk of dating myself, I remember when “Free HBO” was a thing that hotels used on signage to try to convince people to stay there instead of at a competitor. Now it seems that “Free Netflix” might work even better. 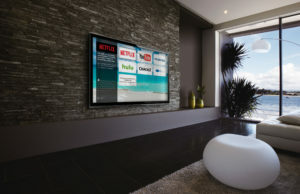 Cord Cutters News passes along word of a new report by Enseo that suggests that when given the option, hotel guests spend more time watching Netflix than they do viewing popular cable channels like ESPN, Fox News and yes, HBO. In fact the only viewing option that beat Netflix at all was the local NBC affiliate, which Cord Cutters News explains is likely due to the fact that it’s the default channel when you turn on most hotel TVs.